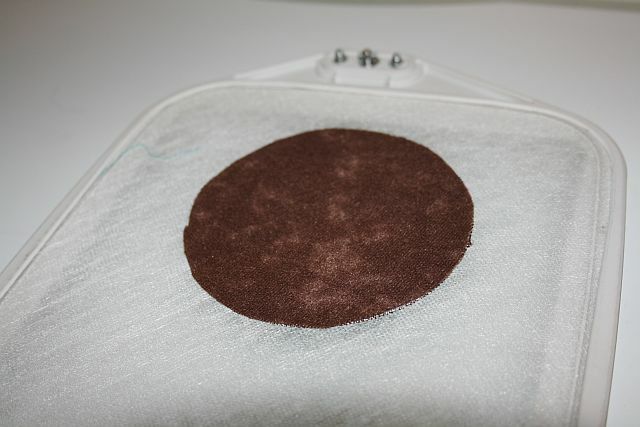 If some of you are new to machine embroidery and the term “In-the-Hoop” is a mystery to you, here’s a brief explanation and a photographic tutorial/demo of an “in-the-hoop” project. “In the hoop” is a phrase that usually means the entire project is done within the embroidery hoop and does not require any sewing machine steps at all. However, sometimes, the majority of an “in the hoop” project will be done in the hoop and just the last steps will be done with your sewing machine. Either way, I think these types of projects are FUN! 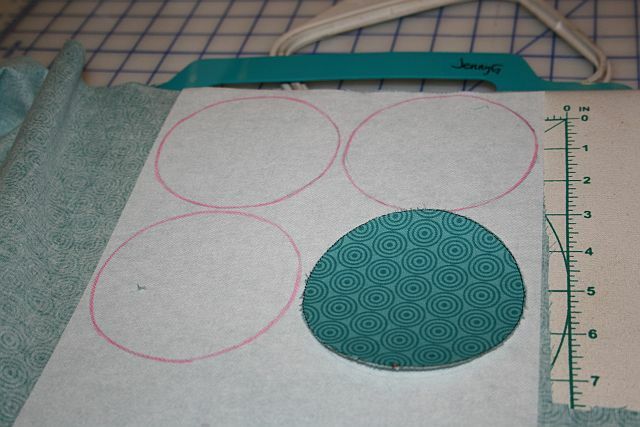 Cut a piece of fusible stabilizer to fit your hoop and fuse it to the wrong side of front coaster fabric. Hoop the stabilized fabric. Attach hoop to embroidery machine. 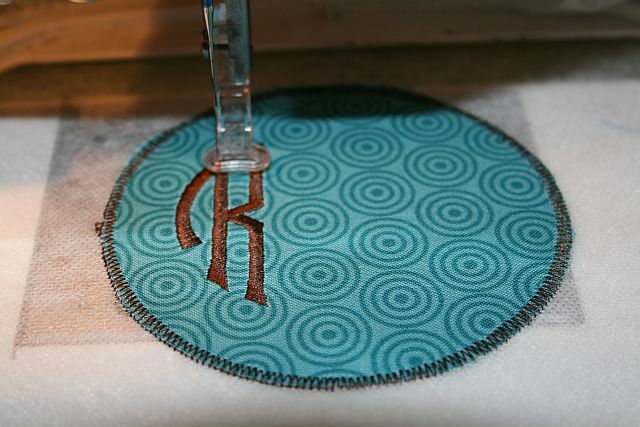 Stitch the coaster outline onto fabric. Un-hoop the fabric and cut out the circle. Use this template to cut our your remaining coaster pieces – fronts & backs. 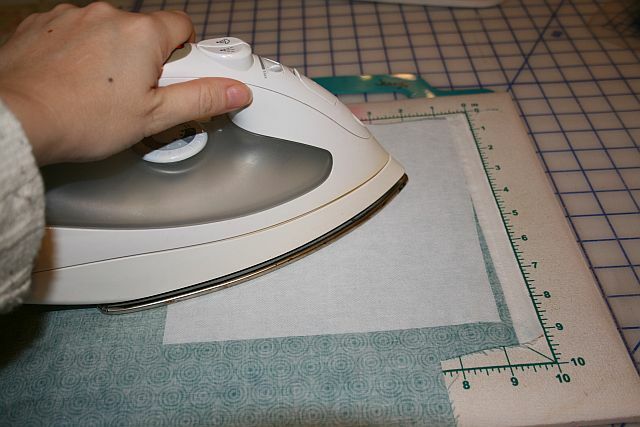 Peel off paper backing and then hoop the adhesive sew & wash stabilizer with the sticky side face up. 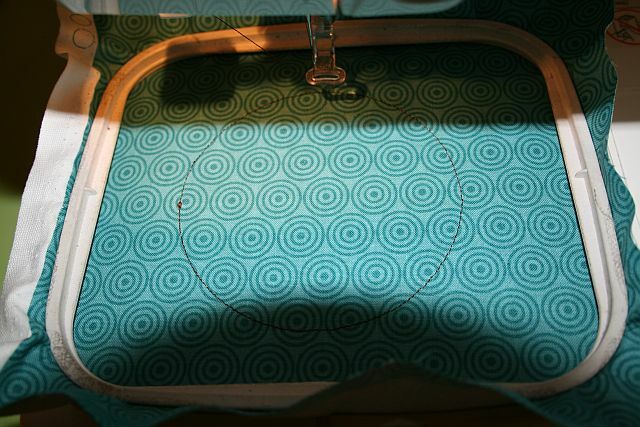 Attach the hoop to the machine and stitch the coaster outline just as you did before. 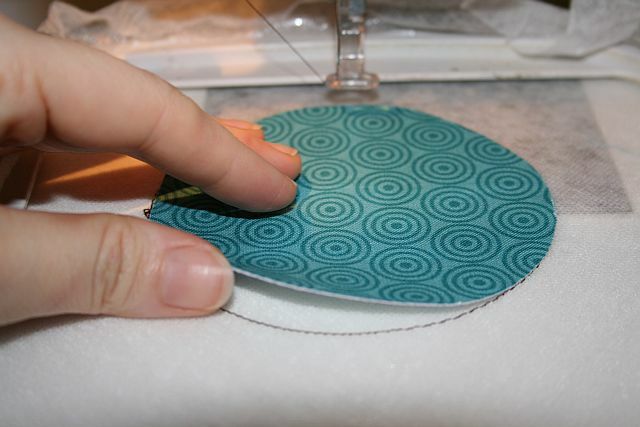 Place your pre-cut coaster front onto the coaster outline that you just stitched. Press gently with fingertips to stick in place. Stitch the next step of your coaster. It will be a zigzag outline around the coaster. 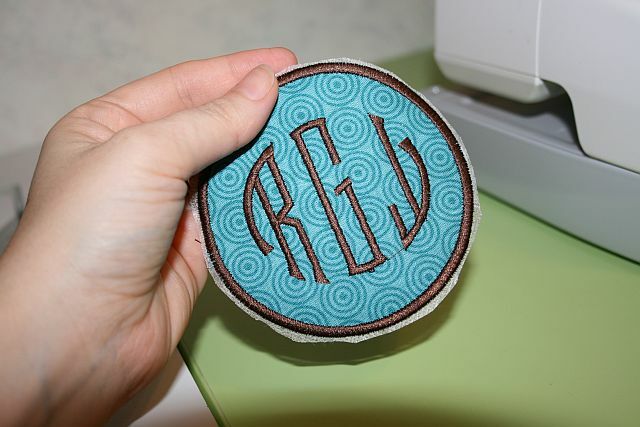 Next it will stitch your monogram or any design you choose to insert in the coaster. 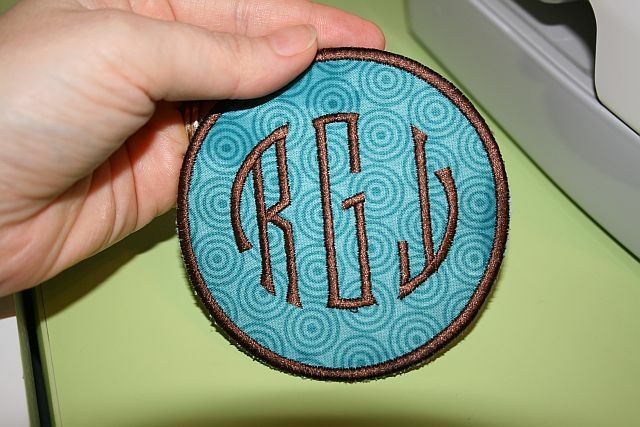 I chose to stitch out our family monogram for this one. 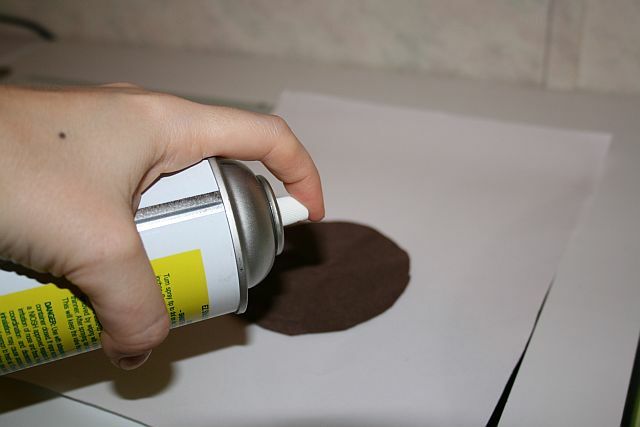 Spray the wrong side of your coaster backing fabric with temporary spray adhesive. Remove the hoop from the machine. Don’t un-hoop your coaster! 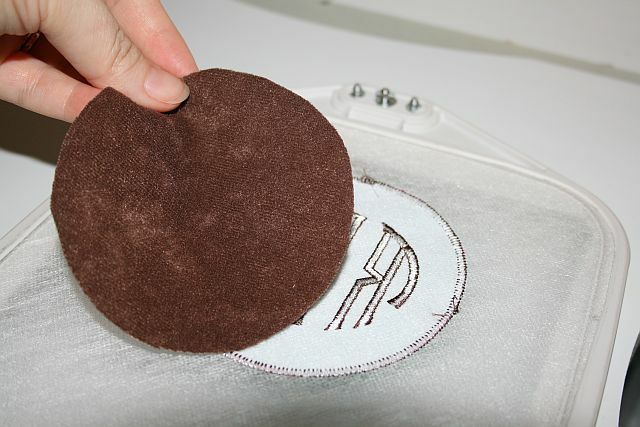 Turn the hoop over and lay your sprayed coaster backing onto the back of your hooped coaster. 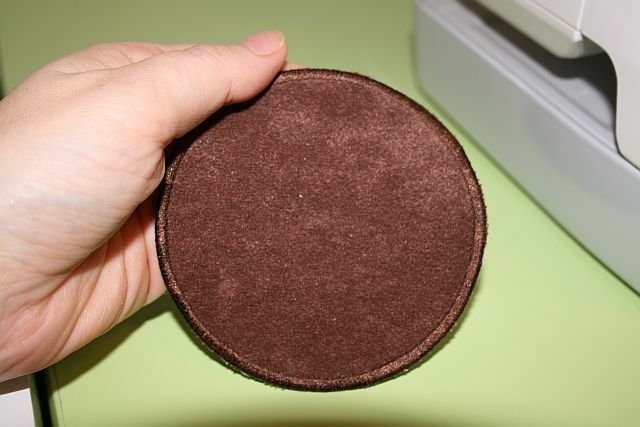 Make sure the coaster backing is aligned with coaster’s front and gently finger press into place. 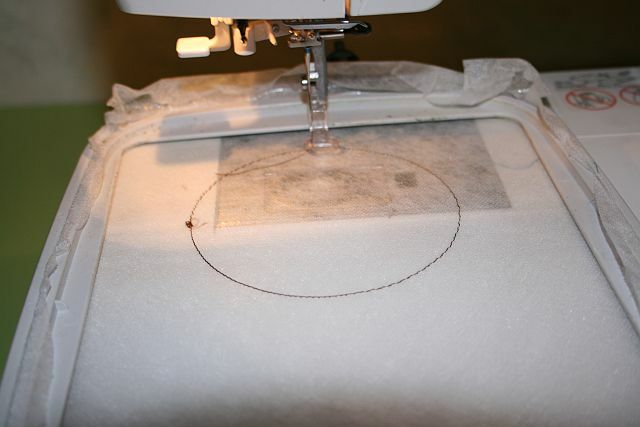 Then, you’ll put the hoop onto your machine again and finish stitching out the design. First it will be a zig zag outline. Last it will be a satin stitch border around the entire coaster. 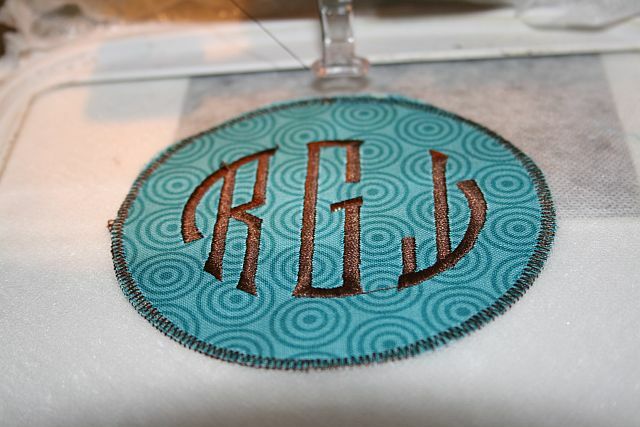 Once the stitching is completed, remove coaster from the hoop. Trim away excess stabilizer. Lightly rinse the edges of the coaster to dissolve the wash away stabilizer. Let dry and enjoy! If you would like to try this project, I have digitized the coasters with a single letter from A-Z on each. I have uploaded the files to my StitchinJenny Yahoo group. All you have to do to access the designs is click the link and join the group. Once you’ve joined the group you will be able to access and download the files. This entry was posted in Featured Machines & Cabinets, Home Decor, Machine Embroidery FYI, Project Tutorials, Tips/Techniques FYI and tagged free embroidery designs, in the hoop projects, janome, machine embroidery on December 15, 2011 by Jenny Gabriel. The coasters look great! I’m going now to join your yahoo group so I can get the designs. So glad to have found your blog and your yahoo group. I purchased a SE-400 Brother Embroidery machine back in the summer and I am still learning. So glad to have this group for help and info. I have joined the group. Hi! So neat! How is the bottom of the coaster not showing white/black bobbin thread? Did you change the bobbin thread to brown to match? I want to do this with a different design. Do I insert the design in the file between certain stitchings of yours so it will show up at the right step along the process. I was trying to modify this in a free trial version of buzz edit. Thanks in advance for your answer and thanks so much for sharing your knowledge so clearly here. Hi Laurie, Yes, you can totally skip stitching the item that I included and insert your own item in its place. I’m not much of an email software tutor so you’ll have to play with it to get the sequence you want. That’s such a great blog! as an embroidery artist I will definitely check this out! Thanks for sharing the step-by-step tutorial. You have very well explained how to create machine embroidery designs using hoop. Also, the images with the your blog post have made the tutorial more effective. I have gone through to your personal blog as well and found them interesting. Hi, I joined the yahoo group…waiting be be approved.